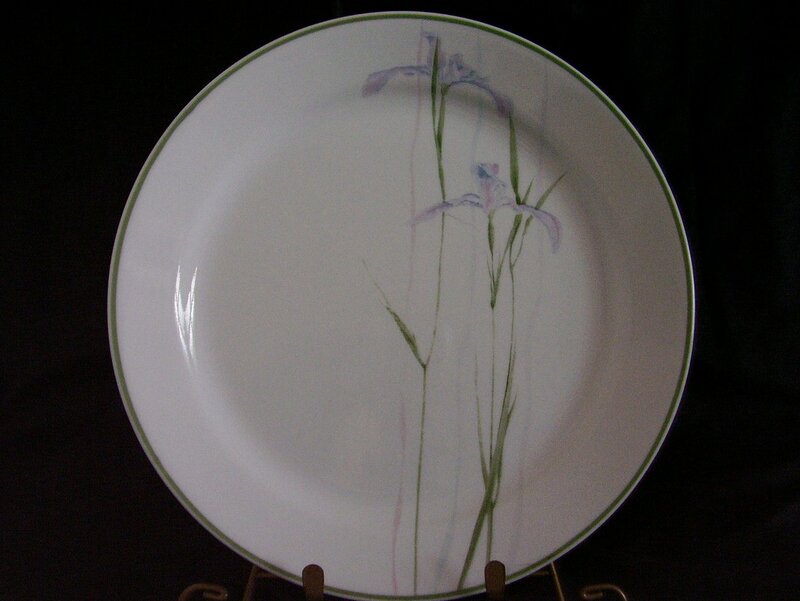 Corelle Shadow Iris dinner plate. 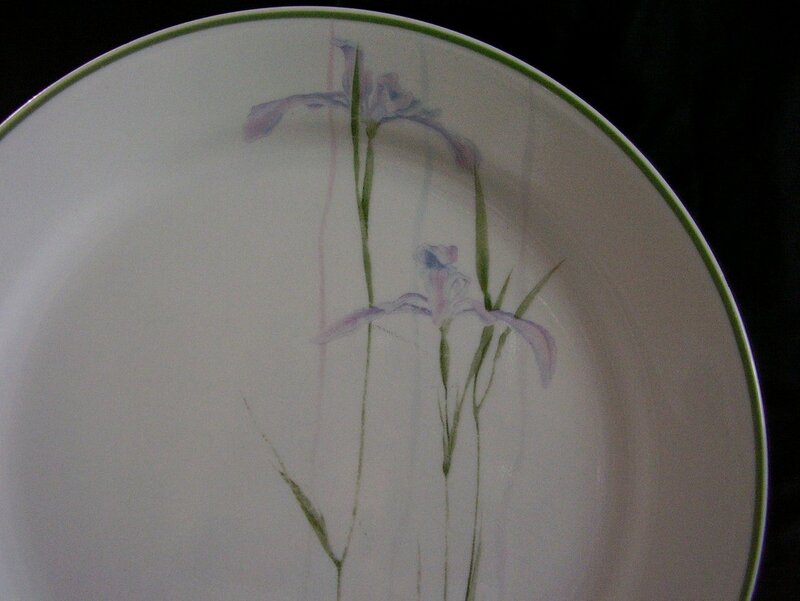 Understated and sophisticated, the Shadow Iris collection depicts tall wisps of purple irises that add a subtle, Eastern inspired element to any table setting. Microwave and dishwasher safe. In fair used condition, it has no cracks, chips. Decals are a little faded. There are some utensil marks when tilted to the light. Measures 10 1/4 inches in diameter. There are extras available.